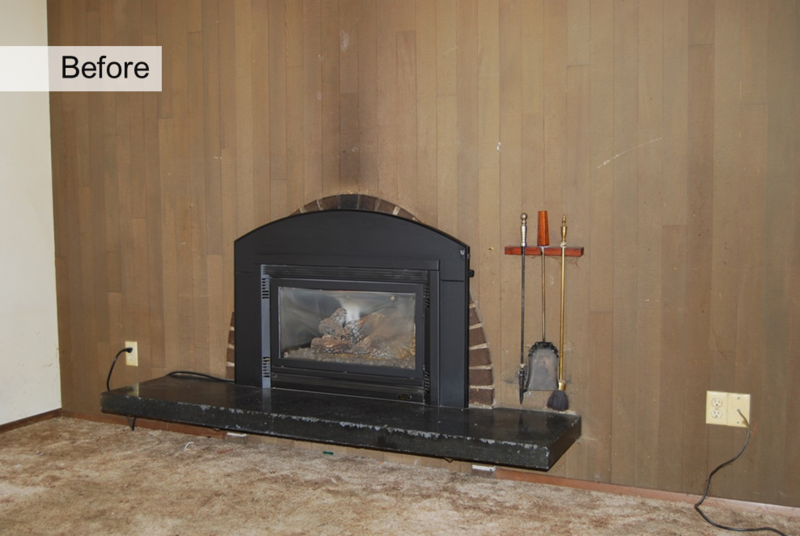 Stay warm & save money in Seattle with Gas Fireplace Inserts. Gas fireplace inserts remove the dangers of smoke inhalation, which is a major plus for adults, but crucial for babies and children. There are also no ashes to clean up. A simple flip of a switch or push of a button, and you have clean, healthy heat. This one is simple—there’s nothing cozier than a fire. A glowing fire has a calming and relaxing effect, and contributes to the ambiance of any home. Add the warmth factor, and you’ve made an investment that is comforting on all fronts. Unique styles for unique tastes. Do you love the rustic charm of mason jars and burlap? Or do you swoon at the sight of clean lines and minimalistic design? Perhaps you fall somewhere in between. In any case, there’s a gas fireplace insert to match your unique décor style. The Archgard Optima series will fit well in the home of the mason jar enthusiast, while the Archgard DVI Glass Fireplace will blend seamlessly in a modern setting. We believe that a gas fireplace insert isn’t just a source of heat—it’s a centerpiece that should speak to your home’s décor and beauty. That’s why we sell and install the highest quality Archguard gas fireplace inserts. Investing in a gas fireplace insert is investing in your home. Gas fireplace inserts hold their value remarkably well, and add to the value of your home. In fact, it’s estimated that homeowners can recover 91% of the cost of the unit when selling a home. In addition to Washington Energy Services’ experienced, knowledgeable installers, our Archgard products are backed with a limited lifetime warranty. There’s no better time to elevate your décor, save money, and end winter on a warm note. Gas fireplace inserts are products designed to turn a wood-burning fireplace into a modern gas fireplace. A gas fireplace insert is a beautiful and functional addition to any home, offering not only an appealing home feature, but reliable and efficient space heating as well. If you have a wood fireplace that you rarely use or dislike because of the smoke and ash associated with burning wood, turning it into a gas fireplace via an insert can provide several amazing advantages you’ll love. Burning wood may smell wonderful, but it also creates smoke, soot, and ash. Even if smoke and soot don’t accumulate directly inside your home or your fireplace, they are vented through your chimney into the atmosphere and the environment around your home. Wood-burning fireplaces and chimneys are associated with regular cleaning requirements, both to keep your home clean and beautiful and to prevent the buildup of flammable substances inside your chimney that could pose a serious safety risk. By contrast, natural gas is a cleaner-burning fuel option in terms of environmental impact; furthermore, a natural gas fireplace insert won’t require you to clean your mantle or your chimney as regularly. Wood-burning fireplaces invariably require a lot of work when you want to enjoy a fire. Not only do you have to purchase, haul, and prepare wood, you must also tend the fire while it burns and take steps to ensure the flames have been extinguished for safety purposes. Gas fireplace inserts make enjoying a fire in your home much easier and more convenient, allowing you to instantly create the ambience you want at the touch of a remote. When you’re ready to leave the room again, you need only deactivate the fireplace, with no other steps required. Installing a gas fireplace insert means you won’t need to worry about whether you have wood available to start a fire, nor will you need to take time when you’re through enjoying this feature to make sure the flames are fully gone. Gas fireplace inserts offer both aesthetic appeal and comfort for your home. Not only does a gas fireplace insert let you enjoy a fire at a moment’s notice, you can also use it to bolster your HVAC system’s function during the coldest months of the year. Gas fireplace inserts offer an efficient room heating solution that won’t replace your furnace, but will allow you to turn your heat to a lower level while you enjoy time in front of the fire. A gas fireplace insert can heat between 1,000 and 3,000 square feet effectively, depending on the model, and acts as an efficient zoned heating system for this portion of your home. If you’re ready to enjoy all the benefits of a gas fireplace insert for your home, we’re ready to help you find and install exactly the right product for your needs—plus, you can earn up to $200 back by choosing a model that qualifies for one of our rebates. Schedule your free estimate with Washington Energy today. A gas fireplace insert is a great source of heat for a single room. While it won’t replace your standard heating system, rest assured that you can curl up in front of the fireplace and stay cozy all season long. Our fireplace inserts come in a variety of styles to suit every room and décor. With sleek, modern models from Archgard, and traditional cast iron options from Monessen, you’ll find the right accompaniment to suit your unique design preferences and living spaces. Score on safety and efficiency. There’s no question—gas fireplaces are safer and more efficient than wood burning fireplaces. As of October 1, 2015, it is illegal to own or operate an uncertified wood stove in the Tacoma-Pierce County Smoke Reduction Zone. The new rule requires any wood stove that is not EPA certified to be removed and recycled, or rendered inoperable. There’s no smoke backing up into your home or polluting the air. You can also say goodbye to chilly drafts creeping into your home through your chimney. Plus, with efficient models like the Archgard DVI 33, which uses 72% of its fuel to make heat, you’ll experience safe, low cost heat that doesn’t break the bank. Did we mention that through November 30, 2015, our gas fireplaces are 20% off? That’s right—warmth, efficiency, and ambiance at a hot price for a limited time. It’s simple. Gas fireplaces provide heat, beauty, safety, and efficiency. And at 20% off, now is the time to introduce a gas fireplace to serve as the backdrop to your holiday parties, family dinners, cozy nights in, and beyond. Learn more about gas fireplace installations done by the crafty crews at Washington Energy.